Cafes have always been my happy place. Most of my favorite ones are cozy and even serve good food and coffee. 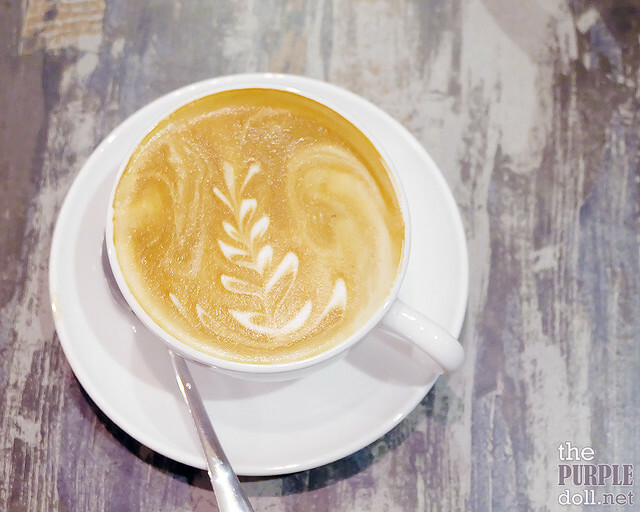 But there's a better feeling that beats my actual cafe visitations -- discovering new cafe gems. 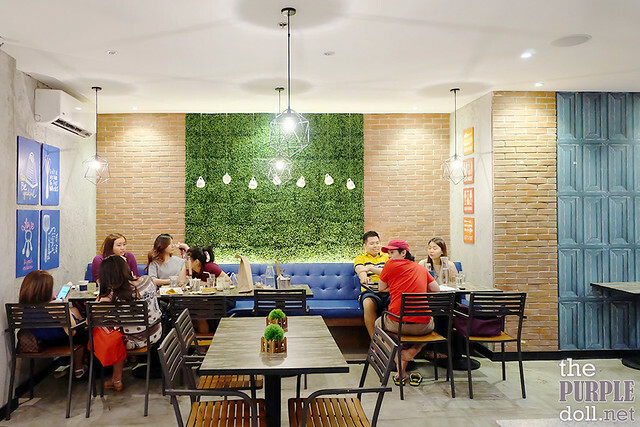 It was already pretty late one Saturday night when my friends Berylle, D, the boyf and I chanced upon this new cafe resto tucked away in Scout Lazcano. It was really unplanned, I tell 'ya. I didn't even know this cafe existed before Berylle found it that same night! We went in, pretty much not knowing if food will be good, if portions will be satisfying, and if they serve good coffee. But I guess that in itself is the very reason I ended up adoring Blue Rocket. We didn't know and expect anything, but we were surprised in a good way. 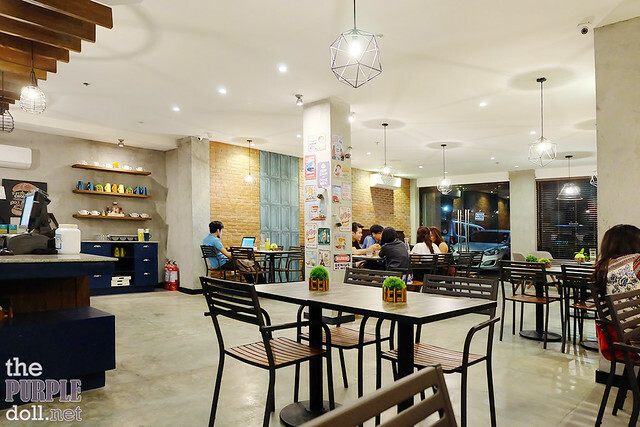 Unlike most cafes in the area, Blue Rocket Cafe + Kitchen has a very spacious interior. I'm not sure if they're still trying out different setups, and the one we experienced when we visited was just a 'phase'. But if it isn't, then props to Blue Rocket for giving guests plenty of space to eat, chat, chill and move around. It wasn't too embarrassing standing up and taking photos of the food, the drinks and the place, since there's just so much room to wiggle. I also appreciate how Blue Rocket Cafe + Kitchen sports an industrial, yet hip and Instagram-worthy decor. The camera trigger-happy in me is indeed happy. To start off our late dinner, we had this serving of beer-battered white fish with fries. Every bite off either was crispy and full of flavor. 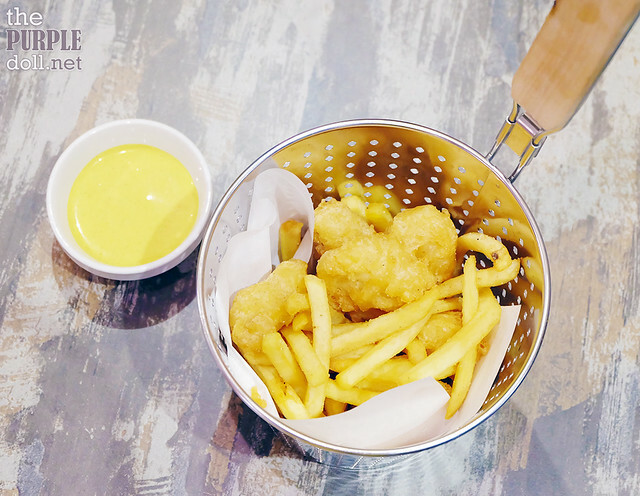 Unlike its greasy brethren, Blue Rocket's version of fish and chips challenges the status quo by actually being pretty light on the taste buds and having hints of refreshing tartness. Probably lemon and herb salt? It's not neck pain-inducing, and definitely very addicting. For some carbs, we ordered this unique pasta that caught our attention. And we're right to order this. 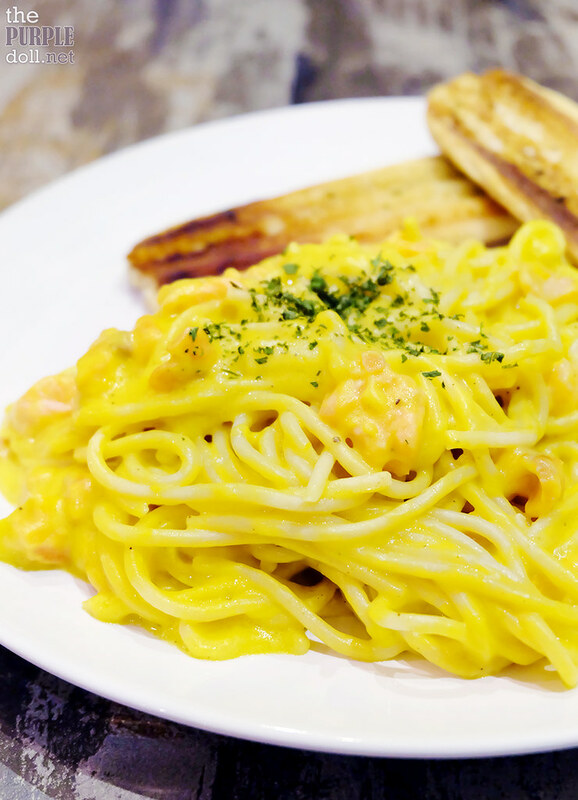 Light on the palate, with a really creamy texture, this pasta seemed like a healthier choice than something with conventional cream sauce. It also has smoked salmon pieces that give some nice salty notes for flavor contrast. 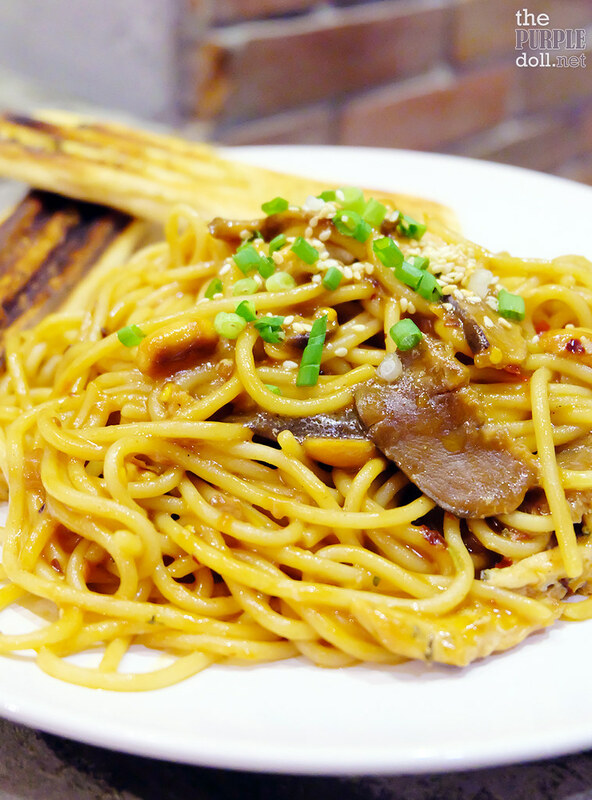 We also got this version of kung pao chicken pasta, which reminded us of Yellow Cab's famous Charlie Chan. Savory, mushroom-y, spicy, nutty -- every forkful of this pasta dish is an Oriental delight! It's a little less garlicky though, and more earthy, but we loved it nonetheless! We really appreciated that Blue Rocket serves all-day breakfast items. 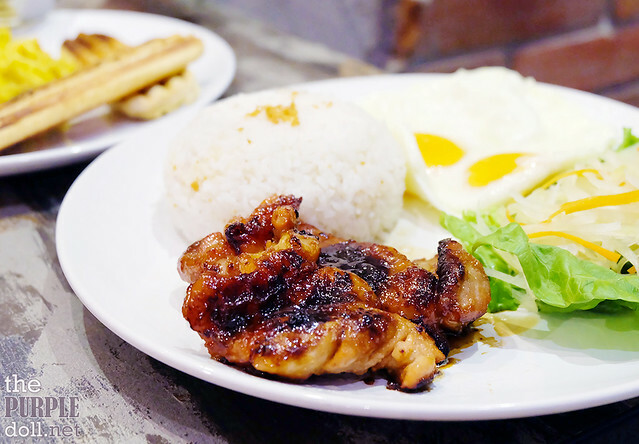 One of which is this sweet, savory and all-natural (no preservatives) boneless chicken thighs served with garlic rice, eggs and pickled veggies. Simple, straight-forward, but delish! Yum! Blue Rocket Cafe + Kitchen was such a nice find! Although we came in without any expectations, we left wanting to go back for more. Food was great and pricing is very affordable for the decent-to-pretty generous portions. Ambiance and the size of the space are also very conducive for chilling by oneself, or even for intimate catch-up sessions with friends. 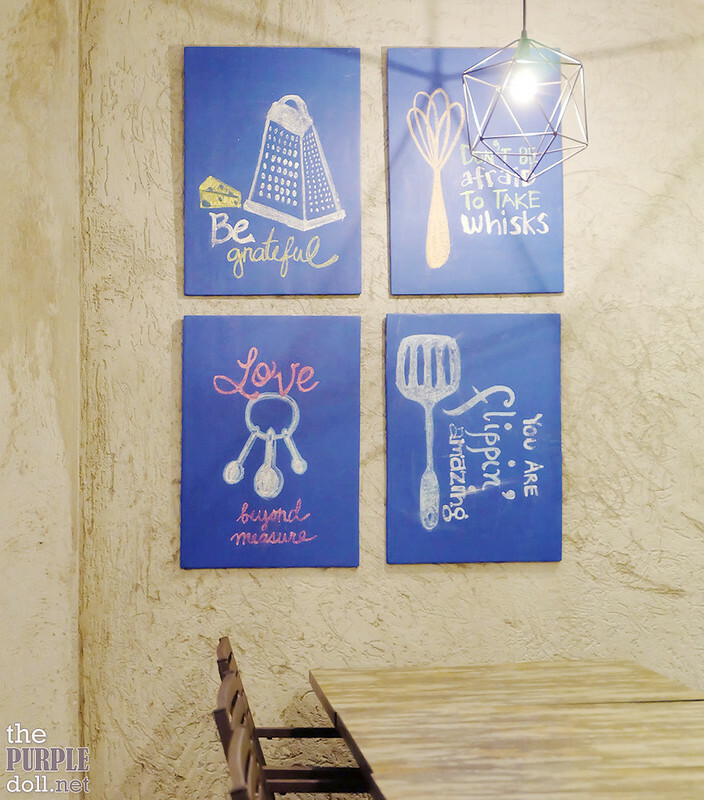 Overall, Blue Rocket Cafe + Kitchen left a really good impression on me. 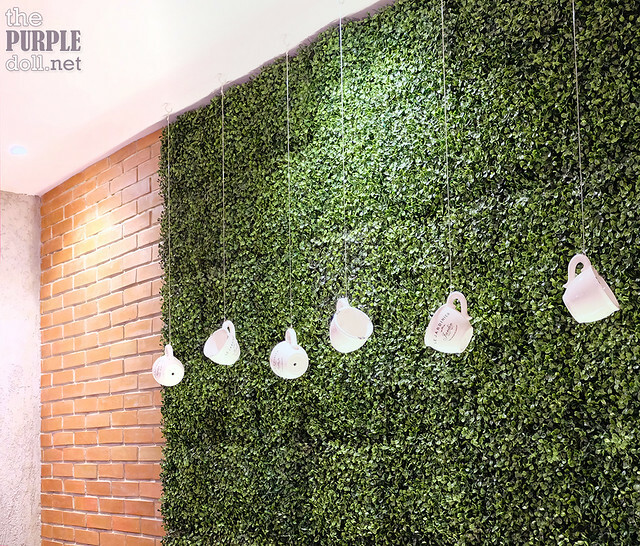 I think I may have found a new favorite cafe-resto in Quezon City! Get to know Kojie San's new IT girl! It's a homemaking May with #loveSnR!